Welcome to the Teacher Portal!! The Leon County Teacher Portal is meant to be a one-stop shop for teachers to easily access important user guides, support pages and contact information for district applications accessed through the ClassLink system. This page is designed to provides teachers access to information and resources that support rich and rigorous instruction honoring individual learning styles. 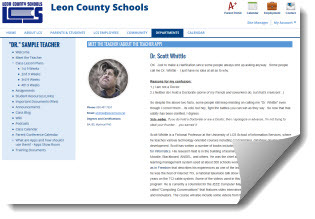 The Teacher Portal is a website available to LCS teachers and instructional staff, and is accessible from any computer at any time. Easy to access, these benefical resources will help you with your daily needs using technology in your school and classroom. As we grow our new web presence, this site will continue to grow as well while providing additional access to essential curricular and planning resources, student data, and reports to facilitate differentiated instruction. 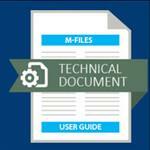 These are a list of Available Tech user guides / Easy URL's to make it simple to access different pages involving the technology user support sites. These make it easy to remember, to post, or sharing links. ClassLink is a single sign-on application that allows you to sign in once (using your network userid/password) and then have ClassLink pass your credentials automatically to applications used throughout Leon County Schools. The LCS Grade Book is used by teachers, students, and parents. Grades posted on student assignments are instantly available to both parents and student alike. In addition, parents can keep track of student performance and attendance via the parent portal or through email notification services. The goal of this system is to keep all stakeholders informed in a students performance as they progress through our District. Blackboard's Schoolwires is our new system for District web pages. District, Administrative, School and Teacher websites will be converted to this new system. In addition, teachers will be able to take advantage of being able to create teacher pages with this easy to use CMS system beginning with the 1516 SY. If you can use the Office Suite, then Schoolwires will be as easy as 1-2-3!! Important!! - If your school is linking to any site you are using on Weebly, Google, Moodle, Yahoo, etc. please contact your Techcon or Administrator about moving your website over to the Schoowires system for your use going forward. TRAINING is available ON SITE for ALL schools needing help getting teacher websites up and running for their classrooms using the Schoolwires website system. Training contact info is available on the support page. A sample training teacher website is located below. 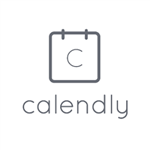 Calendly helps you schedule meetings without the back-and-forth emails. Works with your Google, Outlook, Office 365 or iCloud calendar so you’re never double booked. Set buffer times between meetings, prevent last-minute meetings, create secret event types, and more. Works great for individuals, teams and departments. This training site is designed to help teachers see some of the possibilities of the Schoolwires CMS system when they are developing their personal or departmental classroom sites. There are user guides, help cards, training documents and other schoolwires related information. Truenorthlogic's K-12 Talent Management Platform provides a suite of configurable, modular solutions to support the ongoing growth of K-12 professionals. Professional Development, Transcripts and Teacher Evaluations are all handled through the Performance Matters (TNL) system. The Leon LEADS teacher evaluation is the official classroom teacher evaluations system by which teachers are evaluated and scored based on their DPP and SLO's in alignment with Florida statutory requirements. This system is accessed through our TrueNorthLogic system above under the My Evaluations tab. This information is housed in the Professional Learning section of the website. The Florida Department of Education launched a new Online Educator Certification Licensing System called VERSA prior to the 2017 holiday break. This new VERSA system streamlines the educator certification process to improve the overall experience for Florida's educators and school district personnel. In order to utilize the VERSA system, all certified educators and all applicants seeking certification must go online to create a new user account. You must create an online account even if you already use e-services. Your online account is separate from your e-Services account. Leon County Schools is proud to announce the new Microsoft Office Pro Plus Program to students, parents, and employees (*Note: Charter school students do not fall under this license). This program provides free access to Office 365 Pro Plus for students or employees. Any student or employee may use Office 365, or download and install Office 2013 0r 2016 Pro applications on up to 5 devices (PC, MAC for home use). 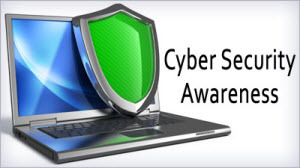 Since our way of life depends on critical infrastructure and the digital technology that operates it, cybersecurity is one of our country’s most important national security priorities, and we each have a role to play—cybersecurity is a shared responsibility. Quick and Easy Safety Tip Submission - By accessing FortifyFL, students can provide a description of the threat, share pics and videos and optionally submit their contact information. Quickly Sends To Authorities - FortifyFL automatically routes your tip report to the appropriate law enforcement agencies and school officials. Formerly Aesop - Absence Mgmt is an automated sub-calling system offers both the phone and internet access and is very efficient and flexible way to manage employee absences and get qualified substitutes into the classroom. 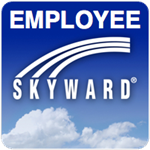 Aesop directly integrates with our Skyward Finance module for payment of substitutes. Employee Access allows LCS employees to review their personal information. The employee can review such areas as their pay information, tax information, contact information.